Home » Uni Updates » Have you ever seen a walking house? Have you ever come to know about this invention? We only just know about our own usual stationary house. But have we ever thought that a house can walk? But this is achieved recently in Cambridgeshire around the campus of wising arts center, England and they have successfully demonstrated this Walking house. Since this is a modern era and the innovation never stands still, this type of moving house has been built as a prototype house for the future generations. 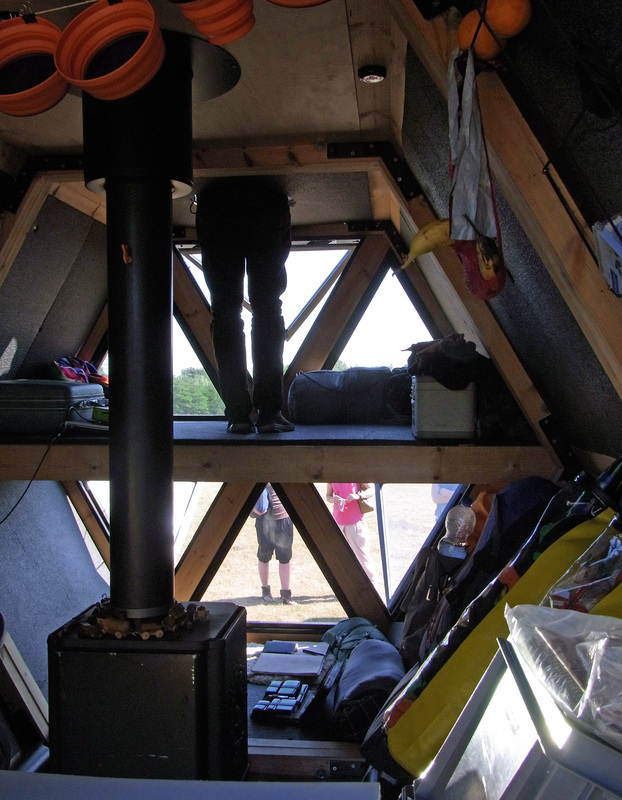 This walking house has six legs and ten feet in height powered with solar panels and well-equipped with a kitchen, toilet, bedroom, integrated furniture and a wood stove. This house is designed to walk at the speed of human’s muscle power and thus it has successfully made an attempt on walking about five kilometers in one hour. This is really a great invention since it is extremely helpful when there is a siren on flood or any other natural calamities. The six legs that provide the high stability are designed using a software algorithm called Inverse Kinematics (IK) which is fairly developed for the rotary joint systems. These legs are designed in such a manner that it can provide high stability even over any unpredictable terrain. Each leg works as a individual unit with its own accumulators and actuators. And the material used for the legs or the whole body is steel and plywood. With high motor function the house can turn left or right, forward or backward and can even adjust its own height to a desired level. The prototype totally cost 30,000 Euros including the material cost and time. But the designers assure that will be soon developed at a reasonable rate. Moreover, it is designed to walk well and reliably through the GPS way points operated via an onboard computer or a touch screen panel. Also it can be operated remotely through iPhone or through the Google maps on internet can make the house to follow that path. In addition to this, the Walking house does not require any permanent usage of land and can be shifted to any desired allowed places. There are systems like collecting rain water and also a system called solar powered hot water maker. It collects the energy from its own surroundings and small windmills. The wood stove which is provided supports CO2 neutral heating. A rear opening at the entrance leads us into the walking house. One of the designers Kronick says that he would love to test this walking house with a herd of elephants in the middle of Africa. 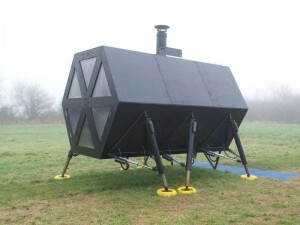 And also planning to build an amphibious version of walking house that can float on water as well as walk on land. Really a daring dream if they achieve!! Thus, a mobile house allows a peaceful nomadic life for the people moving slowly through the landscape with less impact on the environment. This house is not only for the travelers but also for the normal people who are interested in the nomadic living. In order to encourage the useful innovations and technology we can definitely support this kind of walking houses that improves our way of life to the next stage. Thanks for your comment. Get more updates by subscribe here. This is the sort of stuff that should be getting attention. While the technology exists out there to consume less energy and increase the value of people’s lives, automation like this only gets massive budgets when it’s government funded. I hope to see more of this sort of stuff in the future to create more awareness. Great post. Thanks for dropping your comment. Keep Coming. And sorry for the very late reply.